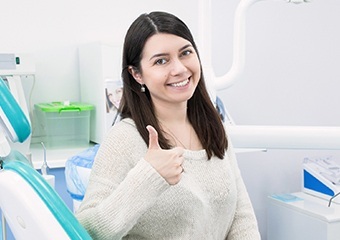 At Goodman Family Dentistry in Columbia, we understand that beginning an advanced dental implant tooth replacement plan can be a little intimidating. Our team will walk you through every aspect of an advanced dental implant tooth replacement plan during your consultation appointment, but on this page, we’ll go through some of the many advantages of restoring your smile from the roots up with dental implant tooth replacement. When you’re ready to learn more about the smile restoration options available from your trusted implant dentist, Alex Goodman, DMD, call to schedule your dental implant consultation appointment at Goodman Family Dentistry in Columbia. Traditional tooth replacement solutions only restore the parts of lost teeth that are visible when you smile. While this is better than foregoing tooth replacement altogether, without the replacement of the lost tooth roots, your smile is still only half repaired. With a dental implant supported restoration, you’ll have a fully functional smile that looks and feels like your lost teeth. This means you can speak and smile with total confidence in every situation. Especially for those who have more advanced denture tooth replacement prosthetics, traditional restorations may limit your diet. An implant supported denture will function much more like healthy dental structures, so you can eat more of your favorite foods. 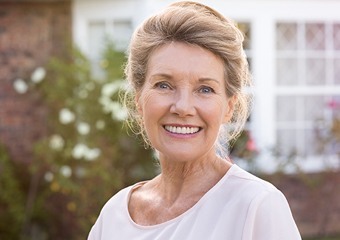 Where most traditional dentures only renew 20% of healthy bite function, your implant retained denture will restore 70% or more of your chewing ability. In addition to enabling you to consume your favorite foods, the increased stability of implant supported tooth replacement prosthetics mean you can eat a variety of healthier, nutrient-rich foods without worrying about slipping or sliding dentures. Because dental implant supported tooth replacement solutions are fully self-supporting, they will not have a negative impact on surrounding teeth and oral structures. Even more importantly, the implant supported restorations preserve and improve the health of oral structures. Because the roots of teeth are replaced, the necessary stimulus is provided to preserve jawbone density and gum tissue volume. Once in place, you should be able to gently brush your replacement teeth the same way you would your healthy, natural smile. Flossing can be a little more complicated with advanced tooth replacement options, but your dentist can walk you through the best ways to floss around your dental bridge or denture. In many cases, using an air or water flosser will allow you to keep your smile healthier for a lifetime. Traditional restoration options will need to be repaired or replaced at least every ten years to ensure continued function. 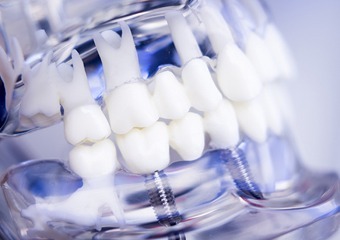 An implant supported dental crown, bridge, partial, or full denture will remain functional for two or three decades in most cases, and some patients maintain their implant restorations for the rest of their lives. With proper care, you can look forward to decades of healthy dental function.